Singapore Airlines is in talks with agencies for its entire UK and Ireland retained comms business, as it kicks off a major competitive pitch. Zoe Martin, Singapore Airlines' PR manager for the UK and Ireland, confirmed that an RFP process is under way and that shortlisted agencies have been contacted, including incumbent Weber Shandwick. However, one source close to the business told PRWeek that the airline is looking to appoint an agency as early as July. 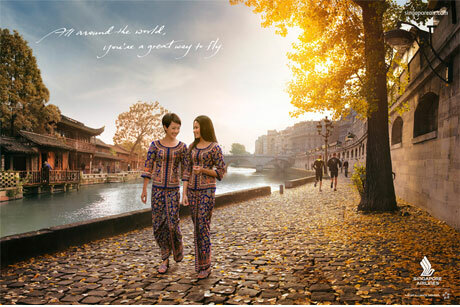 The account encompasses Singapore Airlines' press office, consumer and trade PR functions on a retained basis for a period of up to a year. The business is thought to be worth about £10,000 per month, though an amount has not been specified in the brief. The airline is understood to be selecting an agency on other factors than purely cost. Weber Shandwick was unavailable for comment as PRWeek went to press. Singapore Airlines partnered with Tourism New Zealand last month for a campaign highlighting New Zealand as the ultimate destination for family holidays. The campaign invited families, couples and independent travellers to the South Island for a '100% Pure New Zealand' experience. In December, Sir Richard Branson confirmed that US carrier Delta would be buying Singapore Airlines' 49 per cent stake in Virgin Atlantic, subject to regulatory approval. Branson will retain his 51 per cent stake in the business. The two carriers claimed the alliance would create an expanded transatlantic network that would enhance competition between the UK and North America. Malaysia Airlines appointed PCC to handle its PR last May as it aimed to challenge its Singaporean rival with the launch of flights on the A380, which is the world's largest passenger aircraft. The PR support focused on business travellers around the launch of super-jumbo flights last July. Rival Etihad Airways appointed Bell Pottinger as it agency in the UK last October.